Earthwatch scientists were invited to speak at the 31st session of the FAO and European Forestry Council’s Working Party on the Management of Mountain Watersheds in Prague (Czech Republic), which took place from 4 to 6 September. Their presentation “Citizen science supporting watershed management” addressed many of the challenges and opportunities for citizen science and showcased the new approaches being developed in GT2.0. The resulting discussion on participatory aspects of mountain catchment management pointed to the importance of citizen science as a key aspect to a more sustainable and integrated watershed management, and to maintain ecosystem services related to water recharge and climate regulation. Recent studies on the topic of citizen science in watershed management show some interesting results that can be relevant for GT2.0. 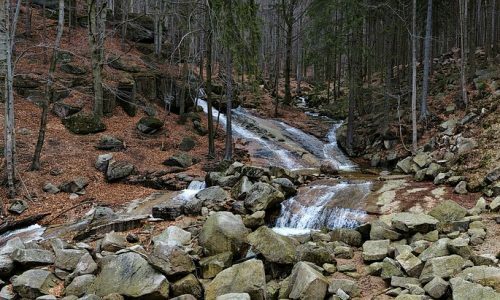 Studies using citizen scientists in the Jizera Mountains in the Czech Republic (Křeček et al., 2017) show how long-term studies can be supported by citizen observatories to monitor the impact and recovery of acid rain-induced damage to tree cover, waterbodies and the hydrological cycle. Other important experiences were discussed, including the value of long-term citizen science activities in Wales, in the areas where mining led to massive changes in the land cover and land use. An interesting tool that was discussed was the use of engagement and learning type tools, such as the Water Footprint tools, that favour a new understanding of each person’s relationship with the environment (Fiałkiewicz et al., 2014). As a learning tool, this type of approach can be well integrated into the engagement and recruiting aspects of citizen observatories. Interesting discussions were also made regarding the development of citizen observatories across different geographic and cultural areas. Scientists working in Central and Eastern Europe commented on the need to develop different engagement approaches that can increase the interest and take-up of communities in post-communist countries. The relationship between the traditional roles and responsibilities that communities have in managing their local environment and their openness to citizen science could play a critical role in the take-up of citizen observatories. As of now, there has been no study of the cultural factors that influence engagement in citizen science, but it would be interesting to keep an eye on possible developments in this area, especially since the Ground Truth 2.0 project has demo cases in different parts of Europe and Africa. Křeček, J., Palán, L., Stuchlík, S., Impacts of land use policy on the recovery of mountain catchments from acidification, Land Use and Policy (in press). Fiałkiewicz, W., Czaban, S., Kolonko, A., Konieczny, T., Malinowski, P., Manzardo, A., Loss, A., Scipioni, A., Leonhardt, G., Rauch, W. and HAIDA, C., 2014. Water footprint as a new approach to water management in the urban areas. In Water Supply and Water Quality (pp. 431-439). PZITS Poznan.